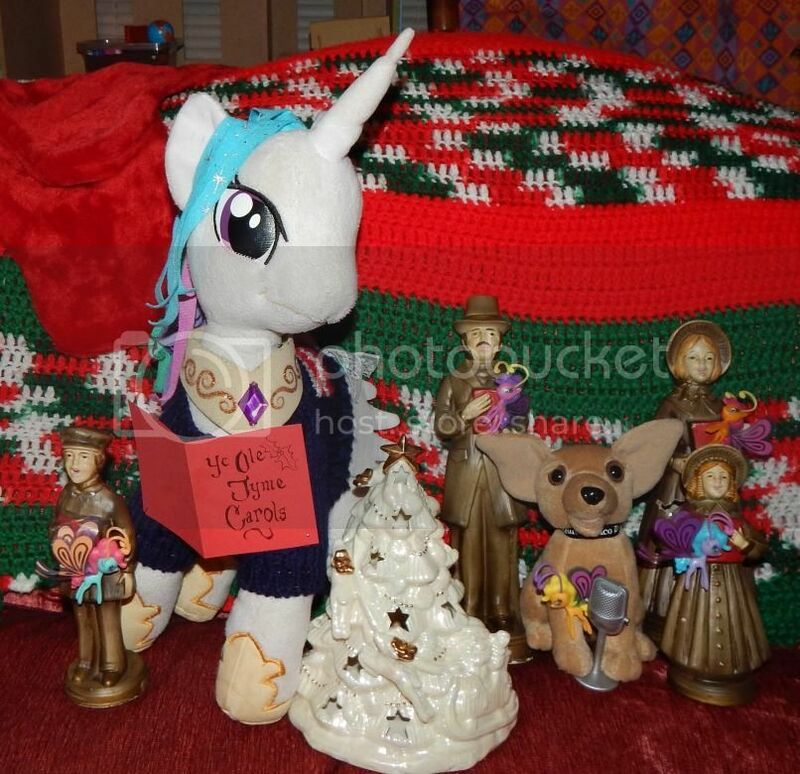 A photo of a pony with at least 4 Christmas carolers. The carolers must appear to be actively singing with the pony. This Task is worth 10 points. 5 Bonus Points: If every caroler is holding a pony. Due Date: December 21st by 10:30 PM EST. Duster is the cutest prehistoric pony!